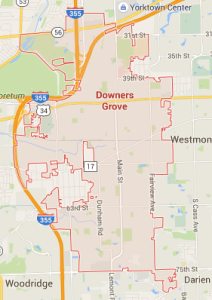 Do You Need a Real Estate Attorney in Downers Grove, IL? | Fournier Law Firm, Ltd.
Do You Need a Real Estate Attorney in Downers Grove, IL? As a suburban city with popular appeal, Downers Grove has thrived in the western Chicago suburbs for nearly two centuries. The quiet tree-lined streets and neighborly atmosphere attract a wide variety of people to settle in a town that benefits from a historically strong housing market. Unfortunately, the once fertile housing market in Downers Grove is not as robust as it was in the past. Many property owners in ZIP Codes 60515, 60516, and 60517 are selling their homes or land in an economy that is less than ideal, while buyers are hoping that the improving economy will allow them to make successful investments in real estate. Both sellers and buyers can count on an experienced real estate attorney at Fournier Law Firm, Ltd. to protect their interests in real estate transactions. Submit our online contact form or call Fournier Law Firm, Ltd. at 630-792-1000 to make an appointment with a real estate professional. We will be happy to answer your questions about the variety of services we provide to real estate clients in Downers Grove and throughout DuPage County, IL. Whether you need a commercial real estate attorney to help you acquire or sell business property, a short sale lawyer to help you sell your home when you owe more than the home is worth, or a residential real estate lawyer to assist you in the purchase or sale of your home, Fournier Law Firm, Ltd. can serve your needs. When you choose a real estate attorney, you need to ask four important questions. 1. How many similar cases has your firm handled? Each real estate transaction brings with it a unique set of circumstances, from financing to zoning issues. Make sure any real estate attorney you consider has extensive experience handling your type of real estate case. Fournier Law Firm, Ltd. has many years of experience handling a variety of residential and commercial real estate transactions, including representation of distressed sellers. 2. How long has your firm practiced real estate law? You want an attorney who has handled real estate transactions for at a significant length of time. Given the cyclical nature of the housing market, a real estate lawyer who has years of experience is best equipped to understand the issues that arise in a changing economy. 3. Who can I expect to work on my case? This is an important question, since some firms delegate real estate cases to associates who happen to be available at the time. With Fournier Law Firm, Ltd. you will always receive the attention of an attorney who has spent years concentrating his practice on real estate transactions. You want an attorney who is careful, thorough, and diligent. You want an attorney who responds to your questions and concerns promptly. You want an attorney who cares about protecting your real estate investment. Fournier Law Firm, Ltd. is known for those qualities. Fournier Law Firm, Ltd. is ready to answer your questions. You can submit them on our online contact form or you can make an appointment for a free initial consultation with an experienced real estate lawyer by calling at 630-792-1000. Fournier Law Firm, Ltd. has established a reputation in Downers Grove and elsewhere in DuPage County for providing all the right answers to client questions. Our firm has earned the respect of realtors, closing agents, and other real estate lawyers throughout Chicagoland. We are dedicated to helping buyers and sellers with their real estate matters, no matter how simple or complex they might appear to be. Our firm will give you peace of mind by reviewing your real estate contracts and title insurance binders and working to resolve the potential problems that we identity. We help you prepare or respond to counter-offers. We also monitor the approval of financing to make sure that closings proceed without unwelcome surprises. The housing market has never had more obstacles to overcome that it does today. Avoid mishandling your real estate deal by allowing a skilled real estate attorney to handle the most important transaction of your life. Complete our online contact form or call Fournier Law Firm, Ltd. at 630-792-1000 to make an appointment with a real estate attorney. We are conveniently located in Oak Brook, IL, just a short distance from Downers Grove.